When life throws you for a loop and you are overwhelmed with more work than you are used to, perhaps it is time to upgrade your workstation. One of the simplest ways you can do this is by hooking up multiple monitors. When you have too many windows open, your desktop becomes cluttered and your priorities get lost in the chaos. Stop getting lost in your work and hook up an extra screen today! The video card is what allows you to see images on your monitor, but not every computer’s video card is the same. The type of card you have affects whether or not you will be able use a dual monitor display. 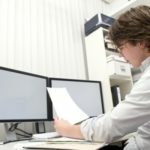 Instead of blindly buying a bunch of monitors only to find out that they are all useless; take the time to investigate exactly what kind of monitor you have. Grasp the monitor cord firmly in your hand and follow it to the back of your PC. You are looking for a second video port; it is a requirement if you want to hook up extra monitors. Be careful not to mistake the Video Graphics Array (VGA), Digital Video Interface (DVI), or High-Definition Multimedia Interface (HDMI) ports for what you are really looking for. These other ports will usually be located to the right or left of the port your monitor is plugged into. You are looking for another port that looks just like that one. Sometimes the port looks a little bit different. If this happens do not worry, the ports are usually labeled for their intended use. If it is not what you are looking for, fear not – you can purchase a converter which will enable your monitor to plug into just about anything. If you are unsure about what kind of converter you need, or if you need help ascertaining what kind of wire you’ll need to make this work, contact Quikteks. 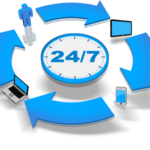 Our tech professionals are available to help with whatever technical needs you may have. you have found what you think is the perfect monitor to suit your needs, and you’re getting ready to order it. How can you be sure that this monitor is really as great as you think it is? Screens ordered from discount websites or local stores are often riddled with not-so-obvious problems, like dead pixels, low resolution, or poor color display. Don’t be fooled by these cheap imitations of quality products – you want to make sure you get the best value for your dollars. 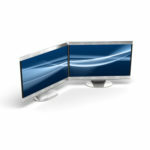 Quikteks can help you select and install the monitor best suited to your needs at the best price. once there was a dark time when installing a new monitor was a total nightmare. New drivers had to be installed for cathode ray tube monitors (CRT), which is a fancy phrase for outdated, old monitors. 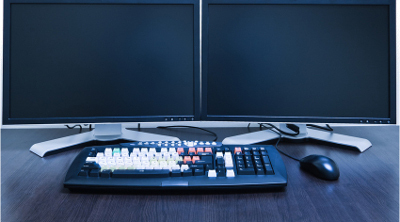 Today’s, PCs are equipped with a Plug and Play feature, which allows your computer to immediately recognize your new monitor, enabling it to work as soon as your PC boots up. You’re not quite done yet. Though you can certainly start utilizing your new monitor, it is recommended that you accept Windows’ cue to customize your monitor settings to your liking. 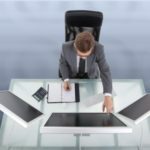 You can play with the power-saving settings, duplicate the main screen, and extend the display across each monitor to create one big monitor, or disable particular screens. The secret to accessing these settings within Windows 8 is to swipe the cursor to the right side of the screen and bring up the Charms Bar. Click onDevices – Second Screen – Select Your Second Screen Preference. With so many ways to customize your new multi-monitor lifestyle, you’ll never work the same way again. With Quikteks at your side, you will be able to select the most efficient monitor for your needs.